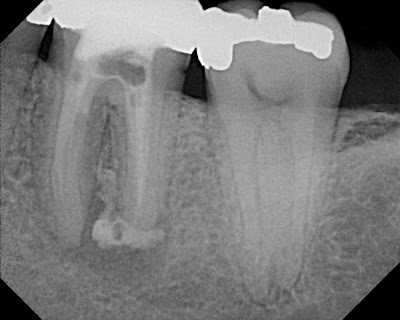 Occasionally, I will use calcium hydroxide as a intracanal medicament to look for signs of initial healing prior to obturation. 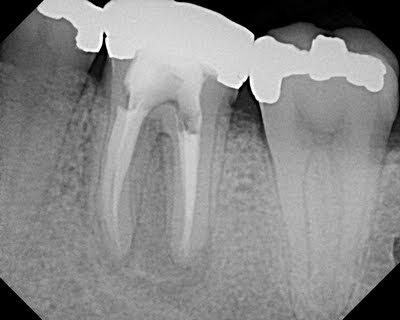 On this particular retreatment case, the distal canal was long and wide. 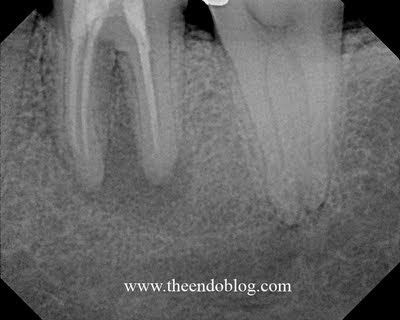 I was concerned there may have been some resorption or possible an apical crack that I could not visualize. Calcium Hydroxide paste was placed (and extruded) in the canals. 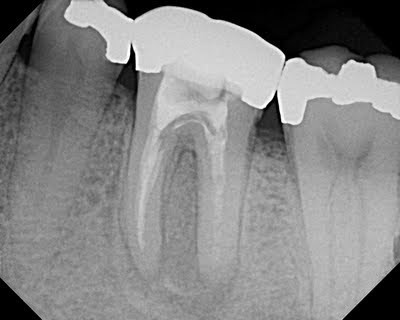 3 month recall shows remarkable resorption of the extruded Ca(OH)2 and healing of the apical lesion. Tooth was re-obturated and another tooth has been saved! Cohen & Burns. Pathways of Pulp 6th ed. p.406-407. 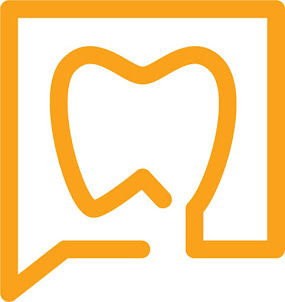 this will help me a lot in my dental practice. Did that extrusion cause any significant pain ? Whenever I extrude calcium hydroxide past the apex patients usually experience significant pain. Anyone had similar problems ? Is it necessary to wait 3 months for cases like this ? Isn't 1 month enough ? What kind of solution do you mixed with Ca(OH)2? Thanks! I used UltraCal from Ultradent. Easy to place, no mess. It can also be placed as a powder, paste made with anesthetic, saline, water, or glycerine. In this case, the patient had no symptoms. I have had patients have some discomfort, but that is a minority of the time. While I don't intentionally extrude the Ca(OH)2, I would rather completely fill the canal than have it short. I don't think it's necessary to wait 3 months either. I usually wait 2-3 months because I expect to see more healing of the bone at that point.